To find out if your personal data was compromised in the Equifax breach — which, according to the company, exposed Social Security numbers, birthdates and addresses of at least 143 million Americans — visit www.equifaxsecurity2017.com. Consumers considering security freezes at the big three — Equifax, Experian and TransUnion — also should consider requesting one with Innovis, he said. The freeze is free and can be done online at www.innovis.com/personal/securityFreeze. Freezing credit reports prevents credit bureaus from releasing people’s files without their permission. Because most businesses won’t extend credit without checking a consumer’s credit history, ID thieves are blocked from opening fraudulent accounts. Read and watch the video here. Looking for Books for Young People? 1-866-431-8549. Impacted accounts may be eligible for reimbursement of fees, compensation for potential impact on credit, and an additional cash payment based on any money remaining in the fund after benefits and costs are paid out. If you have specific questions about Wells Fargo accounts or services, please visit a Wells Fargo branch or call 1-800-869-3557. Are you looking for a gift for someone who has “everything?” Do you want to give something meaningful to someone who doesn’t really need another sweater or toy? Here are some ideas for gifts that give to others. With 219,000 women locked up in facilities operated by thousands of agencies, getting the big picture is anything but easy. In our new report, Women’s Mass Incarceration: The Whole Pie 2017, we use our “whole pie” approach to give the public and policymakers the foundation to end mass incarceration without leaving women behind. Our new report details, for the first time, the number of women who are locked up by various correctional systems and why. 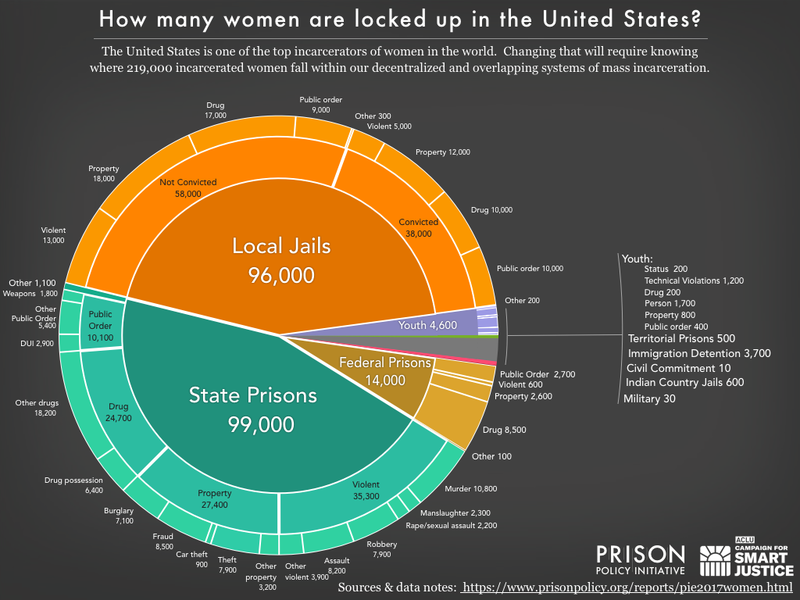 Women’s Mass Incarceration: The Whole Pie 2017, released jointly by the Prison Policy Initiative and the ACLUs Campaign for Smart Justice, is a first look at where women fall within our decentralized and overlapping systems of mass incarceration.